Zombie Land Saga collectible keychains have arrived! 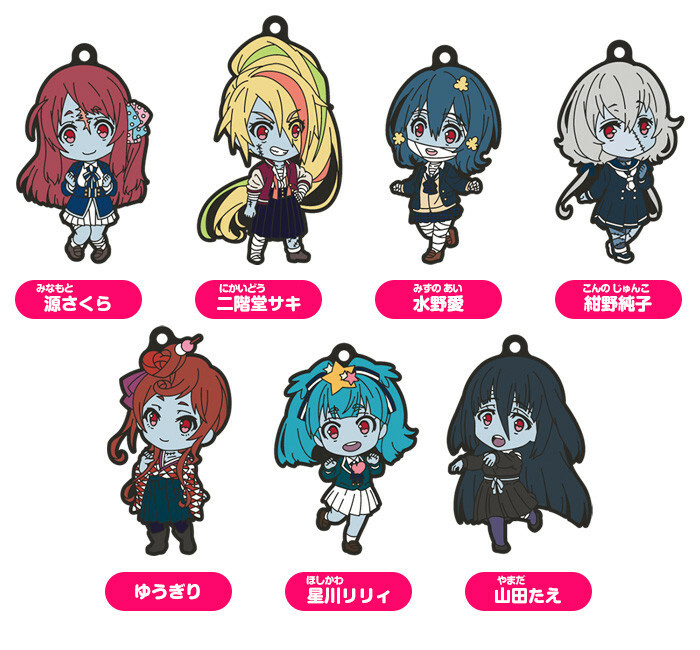 From "Zombie Land Saga" comes Nendoroid Plus collectible keychains! The line-up includes Sakura Minamoto, Saki Nikaido, Ai Mizuno, Junko Konno, Yugiri, Lily Hoshikawa and Tae Yamada for a total of 7 characters! Materials: PVC, Iron / Size: Approx. 60mm x 60mm. One box set includes 7 keychains (all 7 varieties). This product is available from our USA partner shops.